High-quality clinical placements for nursing students can help to boost nurse numbers in traditionally hard-to-recruit areas of practice, according to a study. Researchers at the University of Bedfordshire found the quality of placements experienced by students had a direct impact on the specialty they eventually chose to practice once qualified. 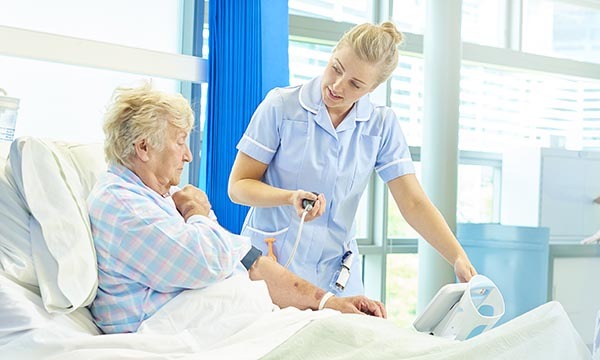 The authors of the study, published in the British Journal of Nursing, say investing in better placements in hard-to-recruit areas, such as primary or older people’s care, could lead to increased recruitment in those specialisms. The university has now begun a larger longitudinal study with Canterbury Christ Church University, again focusing on placements. It will track pre-registration adult, child and mental health nursing students, and midwifery students, from 2018 over the three years of their programmes. In the published study, a total of 110 third-year nursing students from the university were surveyed in the final week of their programmes in 2017 and 2018 to determine how placements influenced their choice of first post as a newly qualified nurse. Study lead Mark Wareing, director of practice learning at the university, said: ‘Clinical placements generate vivid experiences, which exert a strong influence on the first employment destination decisions of the student. ‘When you begin studying to become a nurse, you often come with pre-conceived ideas of where you want to end up working. In my case, I had watched a lot of [television programme] Casualty and wanted to work in A&E.